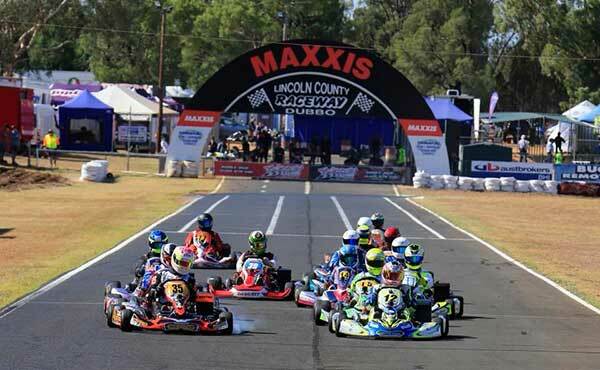 Kiwi star, Josh Hart has taken a hard fought Rotax Light win at the second round of the Rotax Pro Tour at Lincoln County Raceway in Dubbo, NSW. 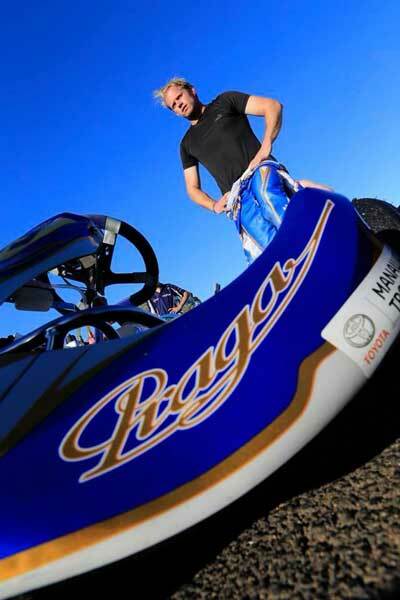 Driving a Praga, Hart – who has finished second at the Rotax World Finals, along with winning many World Championships as a mechanic – added a Rotax Pro Tour round win to his many achievements in the sport. 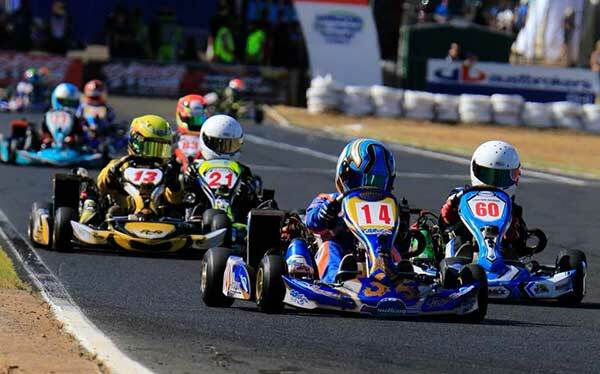 He had been among the top group in the 32 kart field all weekend long and then pushed toward the front in the final, taking the lead early and was unopposed from there. Behind, the fight for the top five was awesome. Leigh Nicolaou, after not getting through the first lap of the Pre-Final, staged a fightback only he could. Starting 32nd and last, he carved his way past 20 karts in the first two laps before edging his way up the order to be on the edge of the top five. In the zone and the fastest kart on track, squabbling over the minor placings between a number of drivers, including the impressive Wayne Bourke, Liam Ford and Ben Jurczak to name a few, allowed the Shamick Racing pilot to broach the Podium. Easily getting himself to third, Nicolaou was able to get his way through on JC Kart 16-year-old Reece Cohen to finish runner up and Cohen completing the podium. 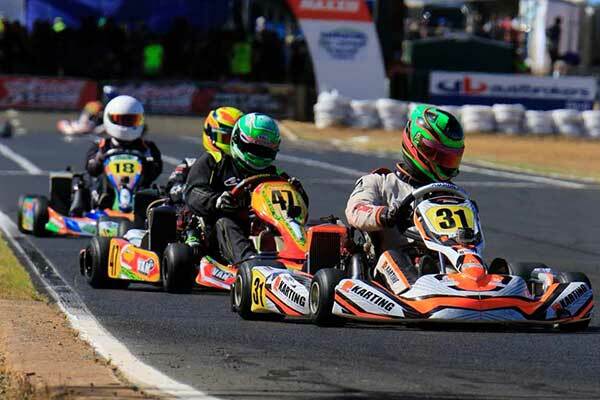 The only Dubbo Kart Club member entered over the weekend – Luke Wrigley on Rotax Pro Tour debut – achieved his aim of finishing the event in 10th position. In the best final of the afternoon, William Seal took out Junior Max. The race was brought under full course yellow after a kart was left in an unsafe position. 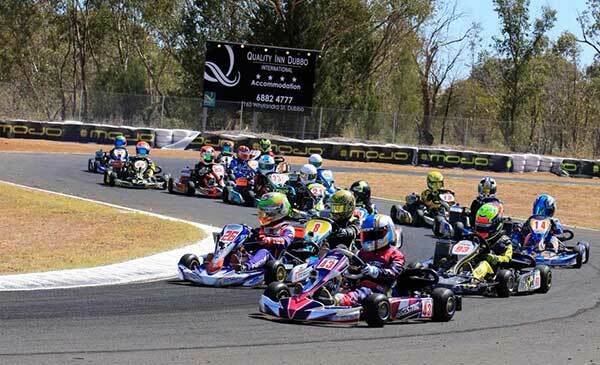 Once the track was cleared an eight kart battle took flight and ultimately, the Tom Williamson Motorsport Kosmic of Seal took the win over Jaiden Pope. Hugh Barter was awarded third post race. Multiple Australian Champion, Jason Pringle completed the perfect weekend in DD2 Masters, winning every single race and getting his World Finals Challenge back on track after a difficult round one. He was dominant all weekend long, ending the final aboard his CRG almost six seconds in front of the field. Joining him on the podium and another to get his 2018 season on target was Victorian veteran, Matt Wall. 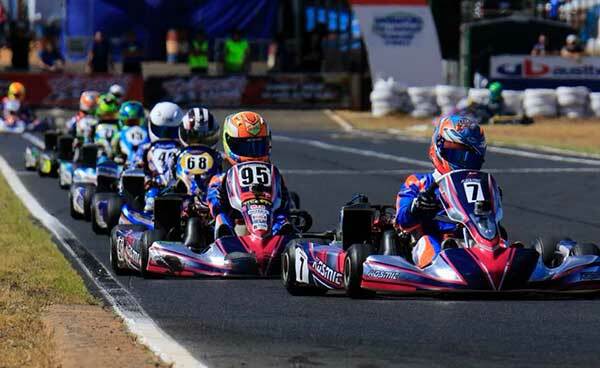 The Shamick Racing JC Kart driver survived multiple challenges from Trevor Whitby – the Griffith Kart Club based driver grabbing his first ever DD2 Masters podium aboard his Betta Electrical Praga Kart. Last round winner in Mini Max Costa Toparis asserted his authority on the sub-Junior category with an incredible lights to flag victory. Toparis scored the Grand Slam of the weekend – pole position, all of the heat race wins, Pre-Final and a Final victory by nearly eight seconds with a fastest lap (by some margin) in his Shayne Piper Race Engines Kosmic. Jack Childs in his Plus Fitness backed kart finished second, while Cody Maynes-Rutty took a hard fought third placing. Another returnee to the top step of the podium this weekend was Lane Moore. The CRG driver had one of his toughest battles in the category against Christopher Board. The duo both had stints at the head of the field, before Moore got through on his fellow Queenslander. Luke Seymour was a welcome addition to the podium, scoring a final corner third placing over Mitchell Wall after a race long battle that also included Zac Van Leeuwestyn. Queenslander Ryan Kennedy is on track for another Team Australia appearance after cruising to victory in DD2. The Formula K driver and Nikolaj Thomas had been fighting for the top gong all weekend. Thomas didn’t get the best of the start, being shuffled behind young CompKart driver, Luke Wanless. A race long battle developed between the CC Racing-backed Victorian Thomas and Wanless, ultimately falling the way of Thomas. In Micro Max, the weekend long fight between Jake Rutkowski and Peter Bouzinelos fell the way of the former. 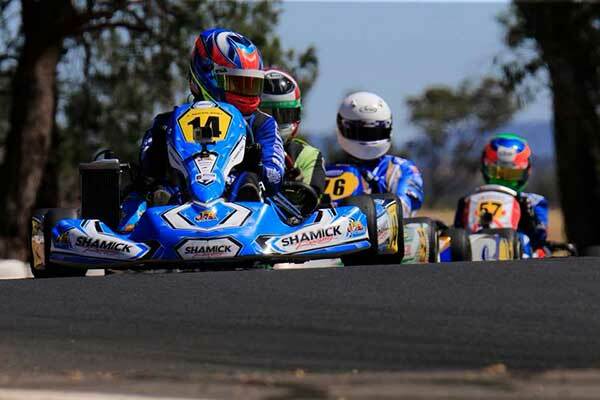 The J&A Kart Tuning driver Bouzinelos had no answer for Shamick’s Rutkowski when the final got underway, Rutkowski heading to a comfortable victory. Max Walton finished third scoring another solid result. All of the Micro and Mini Max competitors were presented with a medallion for their competition thanks to the Rotax Pro Tour, with support from Howard’s Concreting. The live-stream coverage is available on demand, published on the site HERE yesterday with the results. The livestream coverage wouldn’t have been possible without the support of Howard’s Concreting, Tom Williamson Motorsport, Shamick Racing, Troy Farley Race Engines, Dubbo City Welding, Freem Kartwear and IKD – along with Coates Hire who provided infrastructure support. 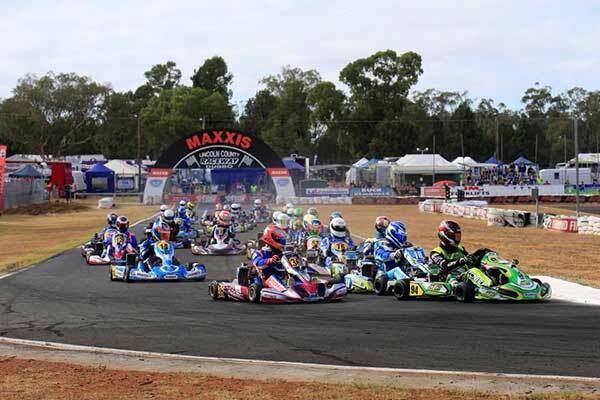 The next round of the Rotax Pro Tour will take place during the first weekend of May at Ipswich Kart Club, Champions Way Willowbank. For all the information relating to the Rotax Pro Tour head to www.rotax.com.au.